Never want to deal with pests again? Preferred Pest Control & Home Inspections offers termite & bed bug prevention programs as well as monthly/bi-monthly/quarterly/semi-annual general pest treatments starting at $99 dollars. With our Preferred Choice Plan our customers are covered all year long and will not have to worry about bed bugs, termites, mice or insects. PLUS, if you happen to get bed bugs or termites (two of the most costly treatments for homeowners) you're covered at no additional cost! This breaks down to $33 per month for seasonal pest control treatments AND additional peace of mind from destructive termites and costly bed bugs. Pricing is for St. Joseph & Savannah residents only. An additional charge for mileage may be added to any out of town locations. Inspection fees may apply. Looking to keep bed bugs out of your bed? Bed bug prevention is much easier and cheaper than eliminating an existing infestation. Bed bugs are the most difficult pest to treat. Even more that cockroaches, termites and ants! As bed bug infestations increase in the area, Preferred Pest Control believes the best way to prevent an infestation is a good defense. 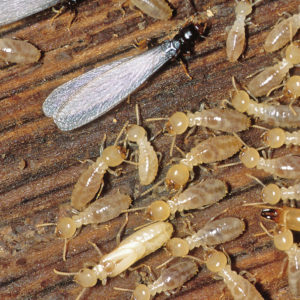 Termite treatments performed before or during construction provide extra protection against future problems. Treating the soil before any slab placement with termiticide will form a chemical barrier between the ground slab and masonry and prevent termites approach to the building. A termite pre-treat is the most effective and affordable way to protect your home from termites. Pricing is figured by square footage and blueprints. Contact us today for a free consultation. 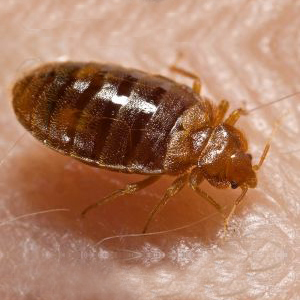 Our guarantee that if bed bugs are found we will aggressively treat the property every 14 days with Integrated Pest Management techniques to eliminate the issue before it has a change to spread, at no extra charge!